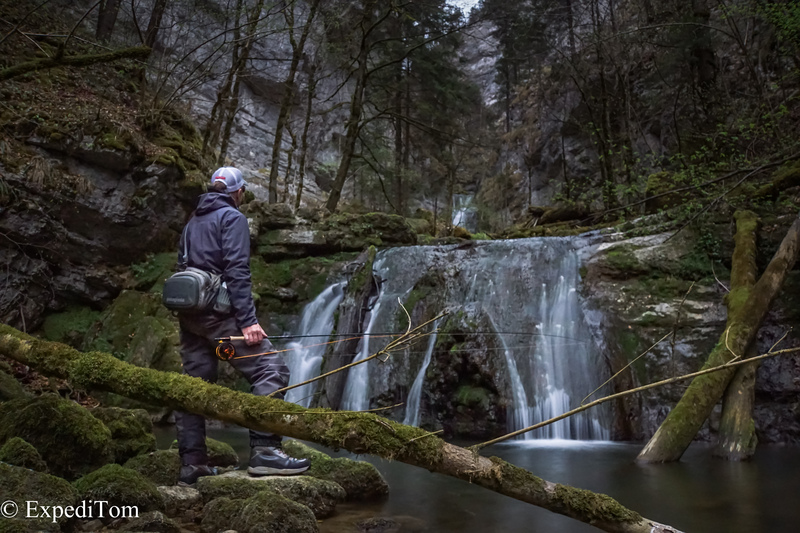 My fishing buddy André and I left early in the morning to go fly fishing the Bernese Jura in Switzerland. The great thing about the Canton Bern is that the license for a day can be easily obtained online. Therefore, one is able to go fishing quite spontaneously after having checked the weather forecast the evening before. We started early in the morning and André had high spirits because he had been there a week before and experienced an amazing fishery. Back then, the trout were eagerly rising and he caught over a dozen fish in the very same pool. 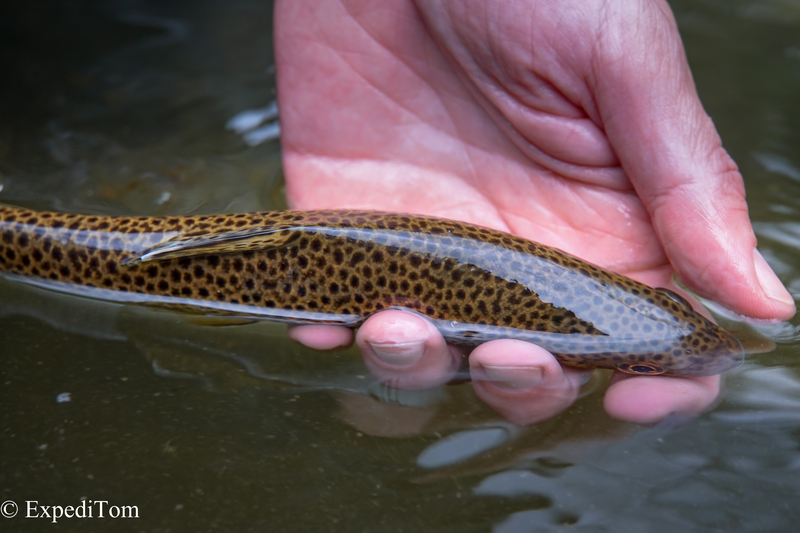 This is a rather rare occurrence in Switzerland due to the immense fishing pressure in public waters. Moreover, catch and release is not widely practises, even though it is allowed under certain circumstances. The weather was rather dull and cloudy with occasional rain showers. However, this was nothing to worry about. We both started fishing with an indicator nymph rig because we had not seen any surface action at the first few pools. As usual, we had an argument on whether the fly line had to be in U-shape down or upstream while nymph fishing. Whereas I argued it must been upstream, André was of the opinion to make and U-loop down stream. After several casts and our never-ending discussion, we finally had the first bite. Continuing upstream, we fished several pools quite thoroughly but without much success. The usual question arose: Is it perhaps too cold? Is it the wrong nymph? Do we fish deep enough? Had another angler fished here before? It was at this point, that the fishing began to improve. There is a reason why I named my website ExpediTom: I love to explore new waters, not knowing what lies behind the next bend. I had done some research the evening before and I had found another small Jura mountain stream nearby. 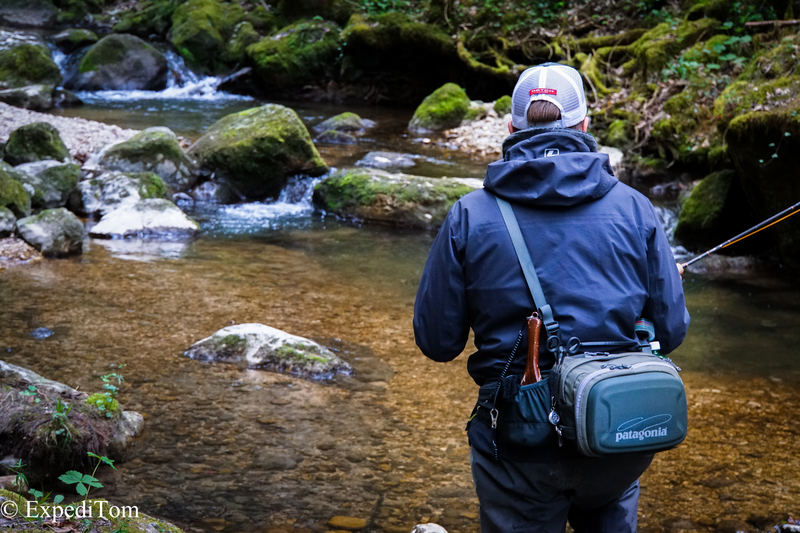 André agreed on giving this new creek a try because the fishing in the first river seemed rather slow in the morning. A short drive later, we found ourselves in the middle of an immensely huge gorge, which stood in sharp contrast to the tiny water flow of the creek. I decided to give it a shot because I thought I had seen a fish in a small pool. André laughed at me. A short climb later and I hooked a tiny trout. We decided to follow the stream beginning from its lower parts where we hoped to find some larger pools. After having hiked upstream for at least an hour, we found only small pools. Then we arrived at a waterfall, which made an abrupt end to our exploration. Although the waterfall pool was one of the most promising in this stream, we did not catch a fish there. Therefore, we went back to the river we visited first. Arriving in the late afternoon, I was totally exhausted and neither chocolate nor some alcohol could wake up my spirits. Hence, I just sat at the riverbank and listened to the sounds of nature (with occasional vehicles driving by). While I was out of energy, André continued fishing with the nymph. It was not long, until he caught a beautiful fish but it took two more until I felt well enough to start fishing again. I walked past André to a huge pool within the gorge. There, I observed the water for some minutes. I counted seven fish which were eagerly rising to tiny mayflies. Carefully, I approached the pool and started casting as soon as the trout rose again. Yet, the olive mayfly imitation with mallard wings was ignored. The fly drifted by the place of the rising trout and I almost lifted the fly from the surface, when suddenly a shadow viciously attacked it. 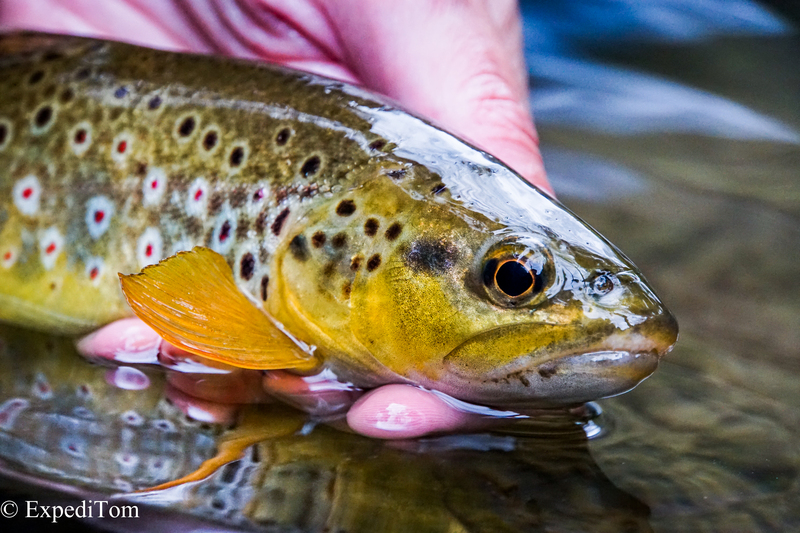 The following full hour we experienced dry fly heaven in Switzerland and several fish came to the net. As pointed out at the beginning, the Canton Bern offers an easy way to get a license online. Furthermore, there is a huge variety of water from mountain streams to larger river systems. Although the start of this trip was rather slow and the exploration was not that successful, we nevertheless had a great time. The highlight of the day was the mayfly hatch right at the end of our trip. Thanks André for the splendid fishing trip!